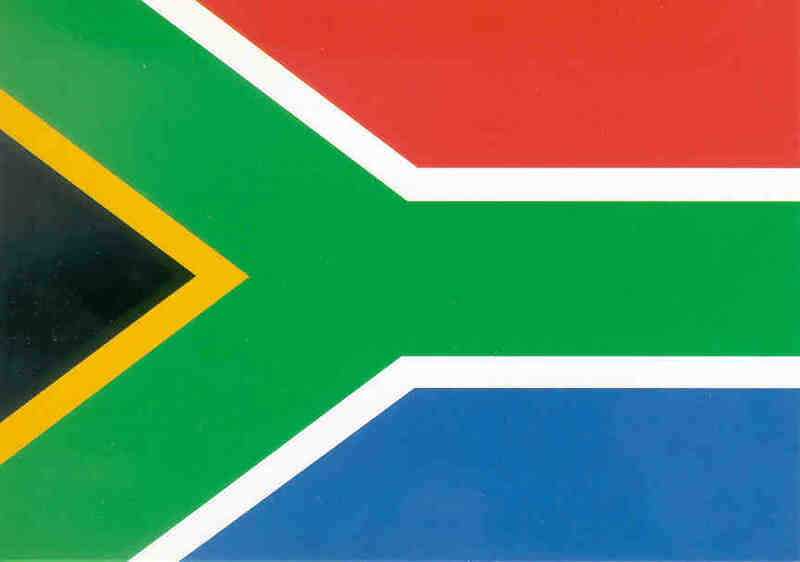 This page documents in words and pictures my recent month-long trip to South Africa. As you probably know I have friends and family (of which you are probably one) scattered across the country and the world. I'm not able to share pictures and trip experiences with them in the traditional sense due to the distance between us. But the web seems like an ideal medium for this purpose. Hence this web site. A note about download times. So make yourself a cup of tea and relax and hope for the bandwidth curve to catch up with the hardware curve. Another option (for the technically savvy) is to download a zip file of the whole site at the beginning, unzip it, and then access it from your hard disk. The advantage of this is that you can start the download, go and do something else for 15 minutes or so, and then browse the pictures at a much faster rate. Email me if you want to do this. Also, please, please email me if you discover a broken link or something missing so that I can fix it up. Thanks. A little background on how I ended up going on this trip. A good friend of mine, Amy Waselchuk, has a sister, Lori, who is married to a South African man. Shenid Bhayroo was in the US on a journalism scholarship. They have since moved to Johannesburg (Joburg to everyone there) where he works for the South African Broadcasting Corporation (SABC). Lori is a photographer. Amy was going to visit them and I happened to have a travel bug, having not taken a big trip in a long time. So I asked if I could tag along. Lori and Shenid were great hosts. Shenid's project at work is a producer of a documentary on the Truth and Reconciliation Commission. The TRC was set up to learn the truth about the horrors of the apartheid era. The government has agreed to grant amnesty to certain individuals if they admit what went on. The purpose is to forgive and reconcile so that the country can move forward. Needless to say Shenid was a great source of knowledge to satisfy my political curiosity. When we got off the plane in Joburg we were immediately whisked off to a concert that was a benefit for the South African Communist Party. Chris Hani was the head of the SACP when he was assasinated in 1993 and the concert was mostly to honor him. That was one of the few 'authentic African experiences' I had on the trip. Joburg and Cape Town and Durban are very western-like cities with McDonalds and malls and impressive road infrastructures. So being in a concert hall with 2000 or so communists, 80% of whom were black, was a neat experience. The next day Amy and I flew to Cape Town where we spent 5 days. When we returned to Joburg we met up with Amy's friend Jane. Jane and Amy were house mates when they lived in Boulder, CO. We went for a tour of Soweto, one of the largest townships. Click here for pictures of Soweto. Then we rented a car (yes, they do drive on the left there...that had its interesting moments!) and did a 10 day loop around the eastern part of the country. From Joburg we went south to the Drakensburg area which is known for its mountains. 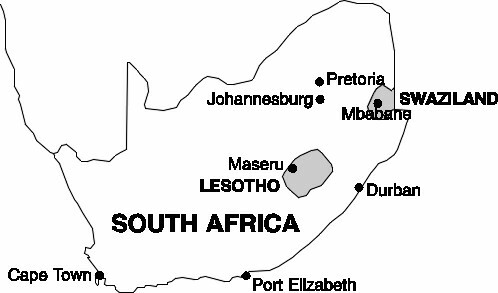 It is just to the east of the small country of Lesotho (pronounced 'Lesutu'). From there we went to Durban, then up the coast a bit, through Swaziland, and into Kruger National Park. Upon our return to Joburg Amy and Jane returned to the US. I had left myself an extra week so I decided to go to Victoria Falls in Zimbabwe. When I returned to Joburg I was lucky enough to accompany Lori on a trip she was taking. As a personal project of hers she is putting together a book of photographs about native dancing. So we went to this really isolated village where there is a queen who reportedly can make it rain with her dancing. We got there a few hours before the dancing was to start so we got to hang out with many of the locals. I spent about an hour just talking with some boys of about 16 about their lives and soccer. Throughout the whole trip I was continually impressed with how important education is to the black people of South Africa. They know that education is the key to improving their lives. It was another of what I term 'an authentic African experience'. Unfortunately, there was a funeral that evening so we never did get to see the dancing. But I have good memories of my conversations with some of the people of the village of Modjadje. The following day, my last day there, I attended another Communist Party organized event: a worker's poetry reading. The trip home was uneventful and long: 34 hours door to door!!! Thanks for taking the time to check out this web site.